Controlling humidity in your home can not only increase your own comfort level, it can improve the efficiency of your heating and cooling system. 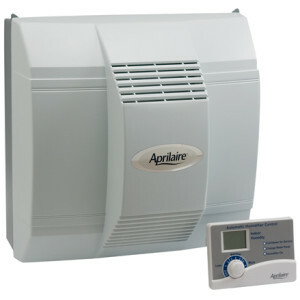 “The Aprilaire Model 700A Whole-House Humidifier features truly automatic control, so there’s never a need to manually control the humidifier—though it can be installed in manual mode, if desired. Humidifies tightly-constructed homes up to 4,200 square feet in size.